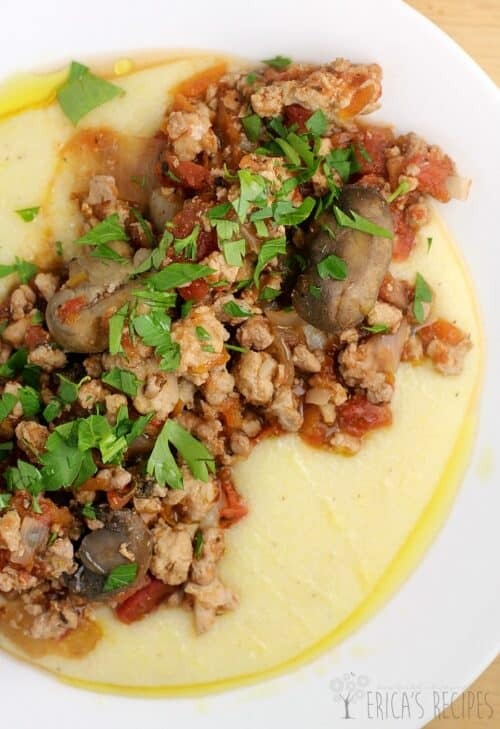 Simple healthy ingredients for an easy weeknight Turkey Bolognese, spruced up by serving over delicious cheesy grits for a twist. This dinner is one of the easiest I have made ever, and in the middle of a ridiculously busy week, it was much needed saving comfort. Cooked in the slow cooker, straight from the freezer, let this recipe save you too. Freezer to crockpot babyyyy! THIS is so happening. Because we need life easy. For our sanity sake. So we don’t kill anyone. As of this writing, I am 18 weeks from Ironman Louisville triathlon, and with the 2+ hours a day training schedule, easy food is ruling my kitchen. Ready-made salads and lunches. Grab and go. Purchased pre-cut fruit because I don’t even have that time. And easy easy dinners like this one. Served up hot and yummy at the end of the long day on smooth, creamy, cheesy, smoked Gouda grits. Repeat after me.. Freezer. To. Crockpot. ..That’s right guys – we throw these ingredients in a bag and stash in the freezer. Then when you are ready, just add it straight to a slow cooker with a splash of wine, and 10 hours later you are so ready. 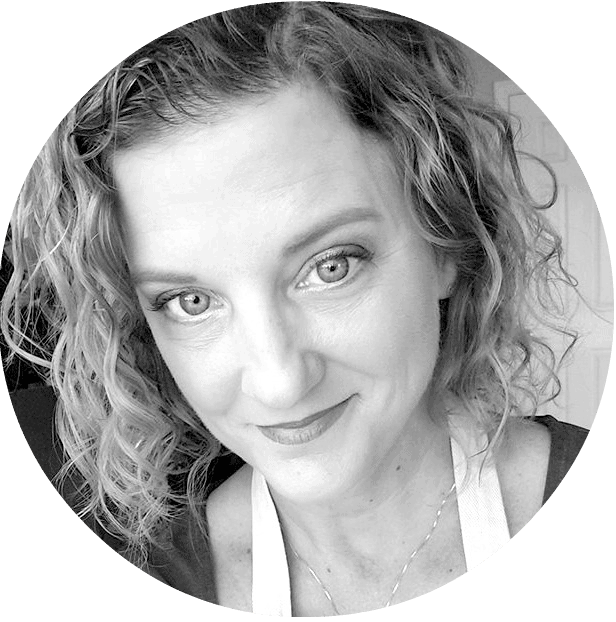 A couple months ago, I spent the afternoon coming up with this and a couple other new freezer-to-crockpot recipes, like the Rosemary Pot Roast, and MAN did those frozen bags of goodness save me. And Gouda because Gouda is Gouda. It just is. And oh yeah …this is healthy, wholesome, clean, gluten-free …whatever diety trend you follow, this recipe checks a bunch of boxes. And there we are. With a little drizzle of fruity olive oil and sprinkle of fresh herb to dress it all up so pretty. 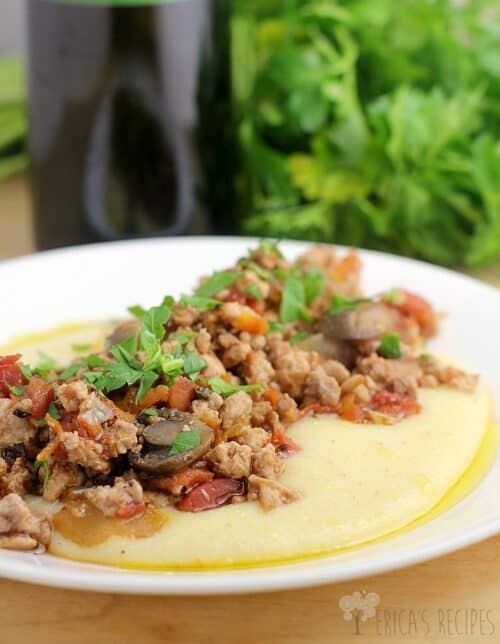 Simple healthy ingredients for an easy weeknight bolognese, spruced up by serving over delicious cheesy grits for a twist. In a large nonstick skillet, brown the turkey in the olive oil. Set aside to cool. 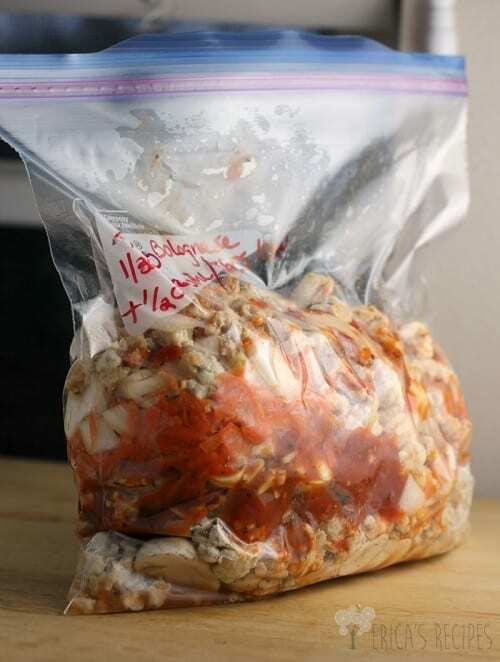 To a large (gallon) freezer ziploc bag, add the cooled turkey, mushrooms, garlic, onion, carrot, marinara, and tomatoes. Add a couple pinches salt and pepper. Remove as much air as you can from the bag and seal. Freeze laying flat. 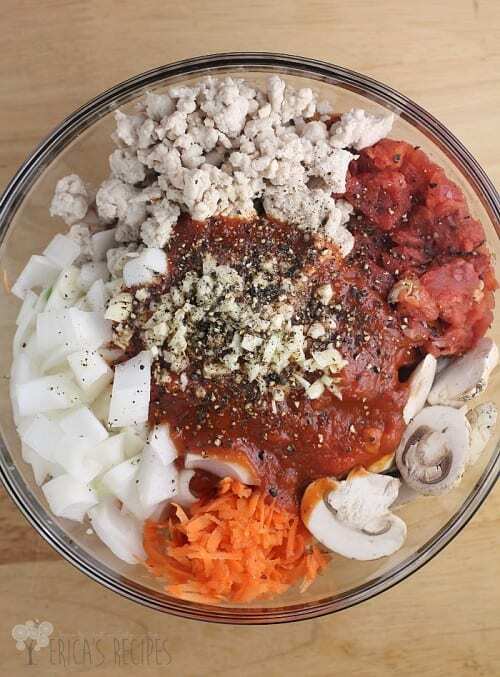 When ready to cook, tranfer the ingredients from the freezer bag to the slow cooker. Add the wine. Cook on low 10-12 hours. Taste the bolognese for seasoning. If the sauce is too watery, just ladle some of the liquid off. This will not be a thick sauce anyway. To make the grits: bring the water and milk to a simmer. Whisking constantly, slowly add the corn meal in a steady stream. Keep whisking until the corn meal absorbs the liquid and mixture starts to thicken, ~3-4 minutes. Remove from the heat and whisk in the cheese and salt. Taste for seasoning (needs a good bit of salt). Set aside. As the grits cool, they will thicken further. Serve the bolognese over the gouda grits. Top with parsley and a light drizzle of olive oil. A true bolognese would have a splash of milk or cream added. I did not bother with that, but a splash of cream is never a bad idea. Hi Erica! This Turkey Bolognese recipe sounds divine!! I can’t wait to fix it 🙂 I’d probably skip the “freezing” step, and was wondering how much time you think it would take in the slow cooker, not from a frozen state? Thanks for sharing this wonderful recipe!